GETTING FEATURED IS ELATION! I think the last thing I won was a perfect attendance award in middle school because I annoyed my mother so. I'm merely a collector of the works of many brilliant minds who then placed them with deserved care together so they can compliment one another. Super big honor to be among all of the features I drool over. Thank you PCPP and this community that gave a naive Mac using Sonic Youth fan the tools to be a PC building convert for life! Thanks for browsing Daydream Nation. This project took in excess of nine months from knowing nothing about PC building, other than one could, to what you see now. Since I will build a computer only a handful of times in my life I will take the liberty of being thorough. For four years I was off the grid working as a missionary. I had no access to the internet or a smart phone. Before my missionary work I used a 2009 iMac to produce music with. When I entered my work in Jan 2014 my iMac was struggling to keep up and I knew once I finished I was going to purchase a new computer. A guy I worked with was an avid PC builder and spoke affectingly on the subject. He loathed Mac and I was reluctant to agree because in the early 2000s all my friends had Macbooks, then iBooks ha, and they seemingly decimated my Sony VAIO PCG-V505EX. I was embittered throughout college that I chose to purchase a PC, and vowed I would purchase a Mac in the future. I adored my iMac. I spent about 2 grand and loved the aluminum unibody design and so did all of my friends. We were musicians, and like the musicians we loved, we used Mac for music production. It only made sense I would purchase the latest greatest Mac when I finished my missionary work right? The iMac Pro is 5,000 bucks for the base model. I was flabbergasted. 3 grand more than my then, top of the line 2009 iMac. How could this be? My PC enthusiast friend said above all Macs are overpriced, and with the iMac Pro's pricetag I thought . . . So I investigated upon the components and found every PC counterpart at this pricetag was astonishingly more powerful. Spending 3 grand on a PC would surpass the iMac Pro's credentials. I could buy a stellar laptop and a magnificent desktop for roughly the same price. That's what I did. I found Origin PCs in the summer of 2018. I purchased an EON15-S laptop and have been converted to PCs ever since. With my infatuation for my laptop, I scoured the market for a desktop to assist me in creating my third LP, a long awaited album I've been tinkering with since the dawn of who knows. Looking at Origin PC as the logical choice I almost chose the Chronos line. However, the voice of my PC builder colleague echoed, 'the most cost efficient mode is to build your own.' I was apprehensive. I'm a musician, not an engineer. Shouldn't I simply invest in people who know this stuff? In an attempt to not cop out and certainly not ask my friend for help, I weighed my options. 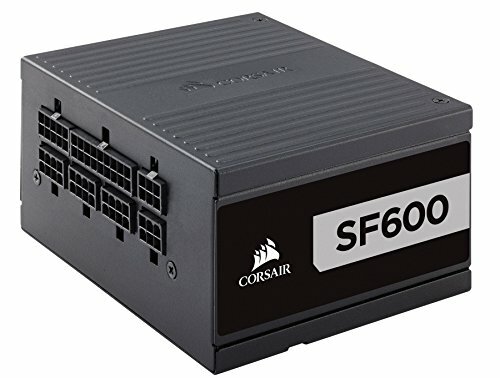 I wanted a PC that is portable in which I can put it in a road case for safe keeping, therefore the HTPC form factor is a great means. There are a few firms that make very nice rackmount pcs for music production. I almost pulled the trigger but realized they have pitiful GPUs. I like games. I've been a big fan of Civilization and the Total War series since I was a kid. My laptop is great at running Civ VI and Warhammer II at 1080p, but the thing sounds like what I imagine the Millennium Falcon would sound like standing at the rear of it. The screen is restricting when deep in a game of Civ VI. Oh how darling it must be at 4k. I needed a boost. I needed a 1080 ti. I needed a PC that was precisely what I wanted. Enough of compromising with the inflated prices of prefab machines. Enter PC part picker. This website and community made this possible. Thanks. I wanted a case that stayed within the space requirements of a 4U rackmount space. I wanted a case that could be oriented vertically and horizontally. I wanted the Salvo Studios S401. There I met the sole operator and main benefactor to making Daydream Nation a reality. He helped immensely over emails. I chose Intel because the only mini ITX motherboard that supports Thunderbolt is ASRock Phantom gaming series. 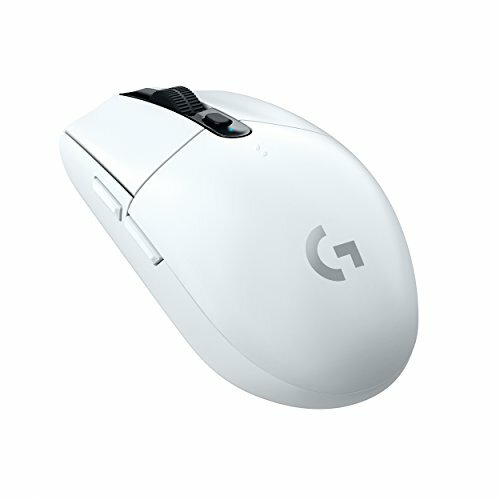 Why do I need Thunderbolt? Because the lowest latency audio interfaces are all Thunderbolt. I've used them and they are astounding to work with. I will soon be purchasing one when my wallet recuperates. I wanted the processor's capability to be completely utilized and run efficiently. Through much research I chose the 8700 (non k). As for cooling this thing I missed the boat when you could find one for 50 bucks. I got one on eBay for more than twice the price. 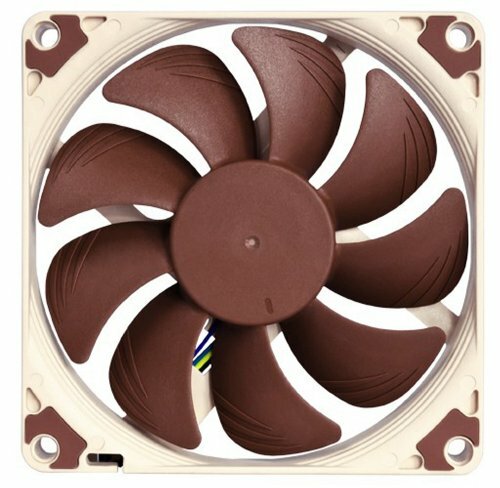 Max TDP is 115w for the copper version. and from my research the 8700 runs @ 4.3ghz at 120w. Where can I ensure that this 5w is accounted for? Delidding no doubt. When I had dreams of a stellar desktop the 1080 ti reigned supreme. 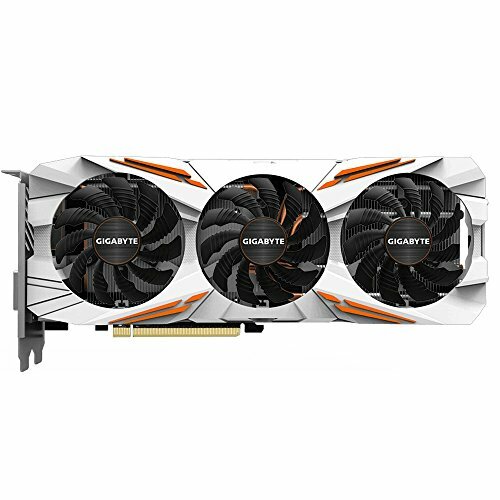 This Gigabyte was always my favorite as it is white. Although the 2080 ti had come to fruition, all games I enjoy are slow paced. I do enjoy an occasional racing game, and this thing delivers Forza Horizon at 60fps. I am not a competitive first person shooter, mainly because I get destroyed these days. 30-60fps at 4k was the mark. Once I realized G-Sync monitors were much more than others I thought adaptive V-Sync would do the trick and I purchased the View Sonic. It is certainly an upgrade from my gaming experience on my laptop. I'm a big fan of Banksy, have been ever since I watched 'Exit Through The Gift Shop'. I noticed a lot of PC fans have stickers on them and naturally I investigated putting Banksy stickers on all of them. Stickermule.com delivers superbly. You can custom order them to the hundredth of an inch. They stick well. They are not however perfectly round...barely. I had envisioned from the get go that I wanted everything white, with black as the alternative, and loud cables. I went to Mod-One. They have a sample pack you can buy for 5 bucks, so I took some measurements, lined em up, and there you can see, not a single row the same color. I understand if you may not like the aesthetic. To me it conveys how graffiti can make a stoic structure more alluring. Initially I purchased a black S401 from Salvo Studios with custom white acrylic side panels and was determined to get everything as white as possible from there. From this purchase Salvo Studios, to my astonishment understood from my white panel purchase that I wanted white. Did he ever deliver such a request. This case is masterful. I love the industrial look as it complements the graffiti undertones. Salvo Studios made five of them. I am still blown away how well the factory powder coated and painted the PSU. The galvanneal steel will certainly outlast me. This thing is a tank. Not a single detail went unlooked. If you have perused Daydream Nation to this point then we are probably on the same wavelength. I hope your PC is treating you well if you've already made your dreams a reality, and if you're like me before undertaking this project, you can do it. I haven't done many things more satisfying. Sonic Youth RULES, and Daydream Nation will light my way during the record making process. I did it Mike P. You were right all along. This REASONable setup was sponsored by Banksy. Congrats on the feature well deserved! I think this guy is secretly Banksy. Fantastic build. Probably the best S401 build I've seen thus far. Great photography and excellent detail. Thank you for sharing! BEAUTIFUL, omfg that is such an insane build!! So much power in a small box, done perfectly!!! This is nice, never seen a tower that thin. Makes it a great Modular set up. Missionary work wow, Never been a fan of Apple. Prefer open ecosystem. 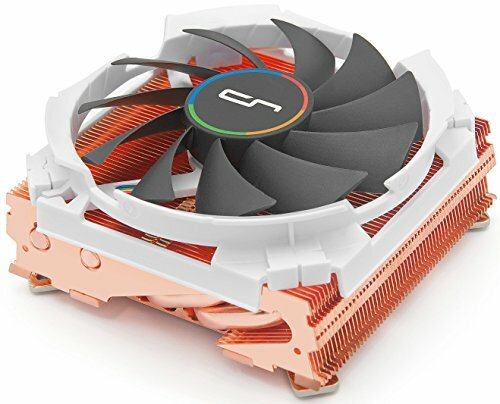 Where the airflow to the c7 is unrestricted (it was designed for tight mini itx cases with little airflow) its probably performing well above it's rated tdp. That case is amazing for airflow in such a small package, just might have to invest in a datavac to manage the dust. One of the Best builds I've seen . Tips his hat!!!! That is a labor of love! So awesome! This looks SPECTACULAR ! also your story is amazing, thank you for sharing your master piece ! You, my friend, have the S401 build to end all S401 builds. I've been tracking Salvo Studios for a while now but this... this is on another level. You inspire to go to another level. The only thing holding me back is the part where you very carefully went line-by-line through your expenses. If I did that now, well, I'm afraid of what I would find out about myself. You have so much going on here that I resonate with. What was your missionary work with? What's your music workflow? It's not something I do but it's something that I want to at least start dabbling in. Small PC in the big leagues. Incredible accomplishment. If I included things like my headphone amp, as you have, I'd surely push the same sort of figures. Thanks for the tips about audio. My younger brother has dabbled a bit with Reaper and it'd certainly take some faith to jump up to the level you're at (I've heard of Ableton before). I have a basic Behringer audio interface at the moment which is fine for me for now. Is your "ultimate build" an all-out ATX system or do you have another ITX system in mind? Yeah Chief, this is definitely it. Incredible and unique! Well done! Not sure if this is incredibly creative or a total waste of time, either way, the amount of mental effort and tediousness put into this inspires even the most stoic workaholic. Glad you decided to leave the Apple dystopia and join the real cult. Anyone who puts a Mencken quote inside thier PC is probably wide awake anyway smh, my goodness. As amazing a job you did with the build, your write-up was equally as enjoyable. Thoroughly impressed by both. I think it's a Banksy. Lol that was mostly a joke I ripped from Spiderman: Into the spiderverse. Your mod reminded me of it. ******* excellent work though man. You are one of my favorite commentators on this site. I have been kind of inactive lately. oh mah gah its so amazing!! Really nice build and write-up. I love the usage of the cable sample pack. But I believe those cables are from Mod-one not Cable-mod, for anyone else looking for them as I was. This is beautiful. I'm glad you decided to make your own PC build over an iMac or pre-built. I was actually considering building a desktop like this lol. Amazing build. Love the personal touches on the fans. Good luck with it! Real pro - visionary artist with skills to make it so. Impressive work sir. I haven't seen many pcs that have so perfectly captured an aesthetic like this has, awesome build! This is art in his perfection! wow just wow homie. do you make music? I meant to comment earlier. You have done such a brilliant job. I think the cables are the best I have ever seen. If a cable can be joyous then this is the one..and it contrasts so well with the rest of the build. Well done.